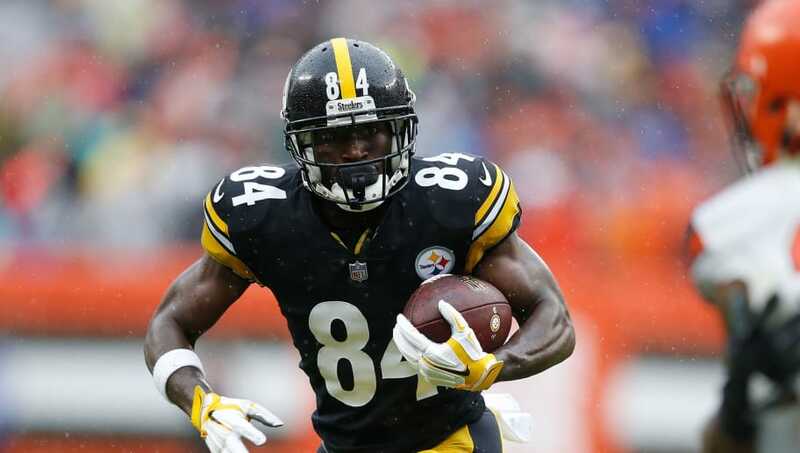 Disgruntled Steelers wide receiver Antonio Brown has reportedly reiterated his trade demand to the Steelers, as the divide between him and the team continues to grow. According to Jason La Canfora, Pittsburgh is expected to talk to teams regarding Brown during the combine. There is no immediate rush for a trade and the team remains hopeful to get first-round value for him while trading him out of the AFC. It has been a series of negative interactions between the Steelers and their All-Pro wideout. According to reports, Brown has refused to answer calls from team owner Art Rooney II and has been telling teammates for weeks that he does not intend to ever play for the organization again. Hines Ward is on Stephen A. Smith right now and just hammered Antonio Brown. Said "Stephen A, I have Art Rooney's number in my phone and if he called me right now I'd have to end this interview. If he calls, you stop and take a call from that man." The situation stems from Brown skipping practice and mandatory meetings ahead of the Steelers Week 17 matchup against the Cincinnati Bengals. Brown was reportedly upset with quarterback Ben Roethlisberger and head coach Mike Tomlin, throwing a ball at the franchise QB before leaving practice early in the week. The Steelers have put up with Brown's behavior over the years, from the Facebook Live incident to going AWOL in training camp earlier this season. But, after quitting on his team ahead of their most important game of the season, it appears Brown's departure is imminent. Brown has made it clear that the San Francisco 49ers are his preferred destination, but there will be no shortage of teams interested in the seven-time Pro Bowl receiver given his contract and production.